A simple woman from the village! That is all the definition Jemimah Thiong’o will agree to when asked to describe herself in a sentence – never mind that her bag of achievements includes a Kora award nomination, a double nomination for the 2007 Kisima Awards, and sales figures that anyone would envy. 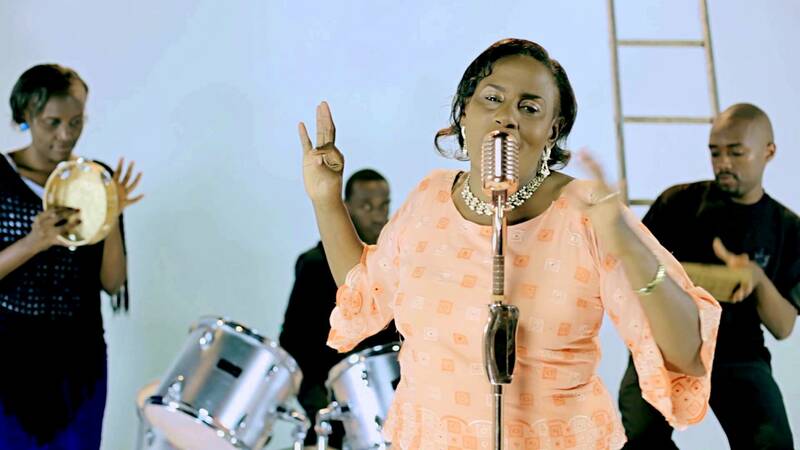 Mwenye Baraka, the hit that catapulted her to national fame is sung all over Kenya, in homes and bars alike. Among the younger generation of artists, she has gained the fond title of ‘mum’. She’s easily one of the most respected Gospel acts this side of the Sahara and boasts a major cross-over appeal. Refreshingly sincere and down to earth, Jemimah leaves one with a lasting impression, and exudes the simplicity of one who knows who they are – an incredible woman of God. Like many people that have a great life today, her journey has been fraught with odds that seemed almost insurmountable. From these experiences, she brings forth a testimony of triumph and a true ‘rags to riches’ journey. Born in a Christian family, the mother of three always knew she wanted to be a singer. While in primary school, she joined the choir and fondly recalls traveling to Juja to sing for the late president Kenyatta. But her ambitions were not meant to head anywhere – despite being a musician himself, her dad would not hear of his daughter singing! In fact, one afternoon when he found her busy exercising her vocals, he emphatically exclaimed “I can see why you dropped from number two to nine! !” That about marked the end of any further musical ambitions, at least for the while. She would pick up this passion again in high school and keep it through her adult life. After high school, she continued to minister in the local church. A few years into her marriage though, she had to relocate to the ‘village’ when her husband got a job transfer. Ever resilient, Jemimah soon picked up the pieces and organized her life around her new home. She began a fellowship for the local women (the nearest church was five kilometers away! ), teaching them her songs and leading them in worship. Within three months, her congregation was so big that they had to build a church for them, today known as ACK Kagwe. She continued to serve this church for many years, and indeed still does. Her songs, almost all of them in Kiswahili, soon spread through the Anglican Church as she was called to minister to various congregations. It was during one of these excursions that she got the attention of Bishop Njuguna, who advised her to try making a cassette because people were asking for her music. She started compiling her songs with the aim of getting them recorded.